Petrol price hikes have been a nightmare for all of us. Combined with inflation, it is becoming hard for an average Indian to survive. So it is high time that we adopt measures to use less fuel, so that the impact of price rise is minimal. Following are some practices when followed would save fuel and hence money. 5 Avoid driving as far as possible! Switching off your car engines at long traffic signals is a must, especially when stoppages are more than 60 sec. Calculations show that each vehicle owner can save over Rs 3,100 annually just by ensuring that his or her car is switched off at every red light that lasts for more than 14 seconds which would hold for, perhaps, all signals. So at a signal- Switch-off, wait and go! Under-inflated tires are one of the most commonly ignored causes of crummy mileage. Tires lose air due to time (about 1 psi per month) and temperature (1 psi for every 10 degree drop); under-inflated tires have more rolling resistance, which means you need to burn more fuel to keep your car moving. Check tire pressure every month. Free tire checking facility is available at almost every petrol pump in India. Consider shutting off the air conditioner, opening the windows and enjoying the breeze. It may be a tad warmer, but at lower speeds you’ll save fuel. That said, at higher speeds the A/C may be more efficient than the wind resistance from open windows. It is said that at lower speeds vehicles with Air conditioners on consume 10% more fuel than normal. If you’re planning for a new car, it’s time to re-evaluate how big a car you really need. Smaller cars are inherently more fuel-efficient, and today’s small cars are roomier than ever. Small cars consume way less fuel, come at a cheaper cost and are easier to drive. With the Indian hatchback market hotting up, there are way more choices at attractive prices. All these cars are feature rich. With European manufactures entering the market hatchbacks are a different class now. So let go off the sedans & SUV’s… time for Hatchbacks! Avoid driving as far as possible! Now that’s a no-brainer isn’t it – But most of us forget it. We still take out our Cars / bikes for very short distances! How about walking or cycling to market, and using the metro or bus to office. I know it’s a tough call for most us. But many of us can do this once in a while. You don’t pay for fuel when you are not using it at all. Walking or biking is good for your wallet and your health. And before you get in your car, always ask yourself: "Is this trip really necessary?" Any more tips you want to add? 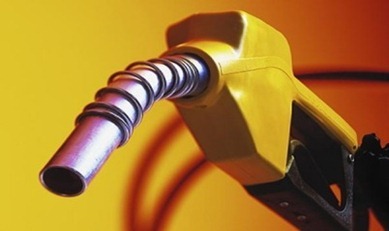 "5 Ways to beat Petrol price hike! ", 5 out of 5 based on 1 ratings. This increase in petrol prices has nothing to do with international crude price increase. Govt. will be benefitted from tax collection to bridge the gap of expenditure shortfall at the cost of common man. Govt. should come out clean with price breakdown of petrol and taxes etc. imposed on it. State Govt. also should fall in line. :) Instead of asking our self whether “Is this trip really necessary?”, why not we should ask our self “Is car necessary?”. Cars are really necessary only for some people. Nowadays most of them have cars only to expose themselves wealthy persons. It is unnecessary for everyone to have car in India. Since there are lot of transport facilities are available like railways, bus, auto, share auto, two wheeler etc. Good pointers. Add carpooling to that list. Using public transport helps a big time. My suggestion is even if they change the gear to nutral, it will have some benifit. Any doubt? Check for yourself. Keep the car in drive gear and observe the rpm. Now shift the gear to nutral and observe the rpm. You will find that engine rpm has come down. Lower engine rpm means lower fuel burn and lower lube use. I live in GCC where the distance between signal to signal is long. About one kilometer before I approach the signal, I shift the gear to nutral and let the car roll to stop near signal. Great Tips! Even using bicycle more and more is beneficial for your health but I would like to add one more tip i.e. sharing vehicles with your friends and neighbors. Going same place in a single car is better than using different cars for the same place.